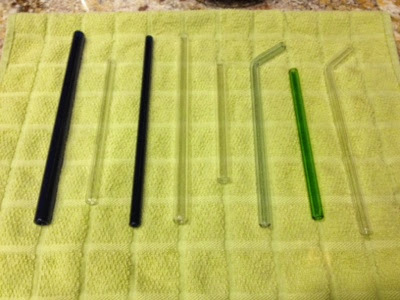 If you cant tell by the 8 straws in the below picture (there are 3 or 4 missing), i am obsessed with SimplyStraws. They have a great pledge for Earth Month (April... sorry it's over) on Instagram where you can pledge against plastic straws and they will give you a code for a free straw. 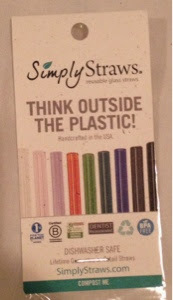 I carry two glass straws with me everywhere i go- the short green one and the colored bent one. People always ask me about them and it is a great way to spread the news about a fun and simple way to help out the environment. Another company that i like is GlassDharma (one of the straws in the picture is from there). The straws come in different sizes and widths- skinny skinny for stirring to wide for boba and smoothies.